Ideal for: Babies of all ages top to bottom, cheeks to cheeks. 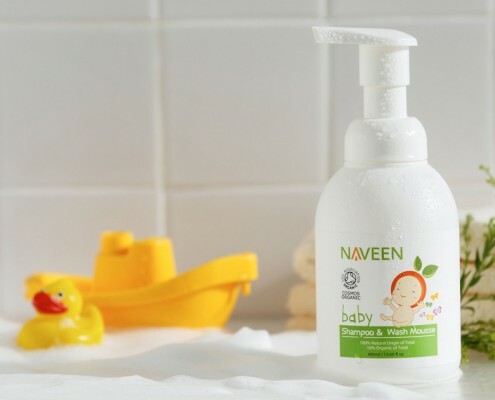 Perfect for sensitive little noses, and ideal for massage, nappy rush, cradle cap or dry skin. Suitable for grown-ups too. Certified Organic Sunflower Seed Oil – It’s a natural and healthy way of maintaining a great skin, thanks to its calming and emollient (moisturizing) properties. Being rich in nutrients and antioxidants, it is widely used for medicinal and cosmetic purposes and is found to be effective against acne, eczema, inflammation, general redness and irritation of the skin. Rosemary Leaf Extract – It contains a wide array of nutrients such as iron, calcium, vitamins and antioxidants. The medicinal qualities of rosemary essential oil make it beneficial for treating chronic skin conditions such as dermatitis, eczema and psoriasis. Its anti-inflammatory properties are useful in reducing the swelling and puffiness of the skin as well as healing burns such as nappy rashes.